Product prices and availability are accurate as of 2019-04-23 11:11:22 EDT and are subject to change. Any price and availability information displayed on http://www.amazon.com/ at the time of purchase will apply to the purchase of this product. A babys skin is much more delicate than your own. So it should be cleaned with only the gentlest and purest elements possible. WaterWipes is made with 99.9% water and a drop of fruit extract. 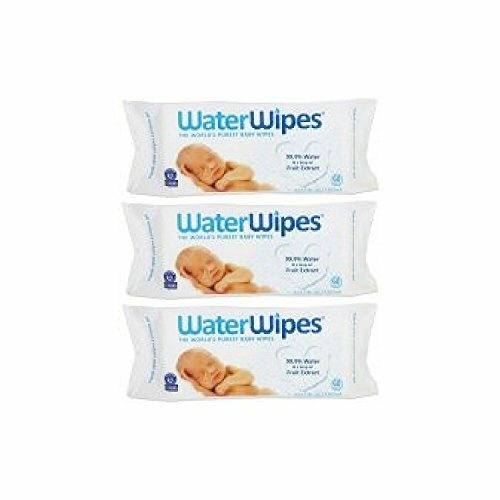 WaterWipes have been carefully designed to be gentle on babies sensitive skin. They are the only wipes made with specially purified and softened water, and a tiny drop of grapefruit seed extract, a natural skin conditioner. Because WaterWipes are hypoallergenic, they wont irritate the skin. This is why the National Eczema Association has awarded the Seal of Acceptance to WaterWipes.